A role consists of two parts: a role definition and a role assignment. So from a UI perspective, these are things like "Contribute", "Full Control", etc. If you create a new custom permission level (instructions here), you are essentially creating a new role definition. The role assignment holds a role definition binding that links the permission level (role definition) to a user or group. The object the permissions are going to be applied to (web, list, etc.) holds the role assignment. So again, from a UI perspective, you are working with role definitions when you are working with permission levels (Contribute, Full Control, etc.). 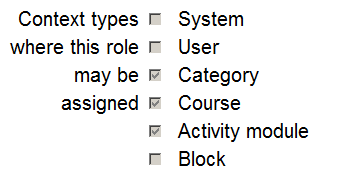 The role definition binding and role assignments happen hand-in-hand when you assign a user or group permissions to a specific object (site, list, folder, etc.). Hope that clears it up at least a little bit!